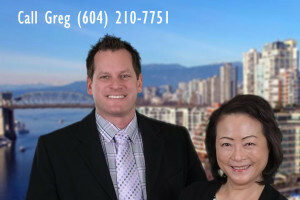 Arbutus Ridge, with spectacular scopes of English Bay and the North Shore Mountains, is one of 23 areas in Vancouver. It goes from Mackenzie and Puget Drive to East Boulevard and Maple Crescent and from 16th to 41st Avenue. These boundaries are defined by the City for planning and administrative purposes and may not accurately reflect smaller historical neighborhoods. Arbutus Ridge, is a peaceful, mature area of up-scale homes, condos and long-time residents. When asked which community they live in, hardly any would answer Arbutus Ridge especially since the low ridge that Arbutus Street travels is not readily clear. Alternatively, depending upon their geographic locations, dwellers associate themselves with neighboring Dunbar, Kitsilano, Kerrisdale or Shaughnessy districts. We don’t have a really good video of this area except for the old railroad corridor that runs through it. It is not a great visual video but has some interesting and eerie music. Average home price $2.1M is 2,600 sq ft, has 4 bedrooms, and 4 bathrooms. Most built in 1991. Average rent for 1 bedroom bachelor suite is $900 .